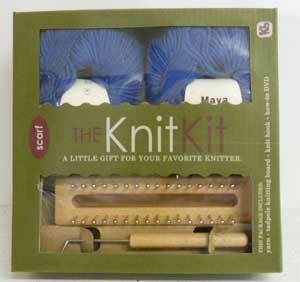 The Tadpole Knitting Board comes with instructions, 7 projects and a knit hook. No experience is necessary. Easy to learn. The board is made from 100% Beech wood. Great beginning Knitting Board. Create lots of fun designs.